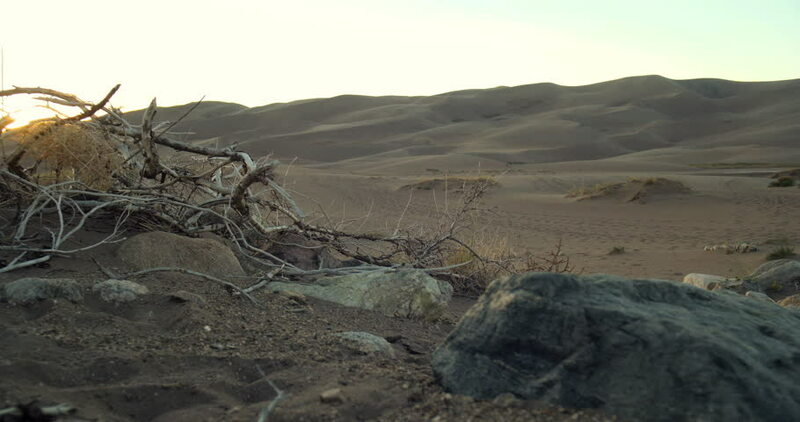 4K tracking moving dolly shot rocky desert ground with sand dunes at sunset dusk Great Sand Dunes National Park in Colorado. 4k00:26Aerial view. Flying over the picturesque mountain valley in the evening rays. Cars go on the road among vineyards at sunset. 4k00:15The rias run parallel to the ocean on the beaches of Islantilla, Huelva, Spain.